If you are on a mission to eat healthier in the new year or to add more fish to your diet, these easy salmon recipes fit the bill. 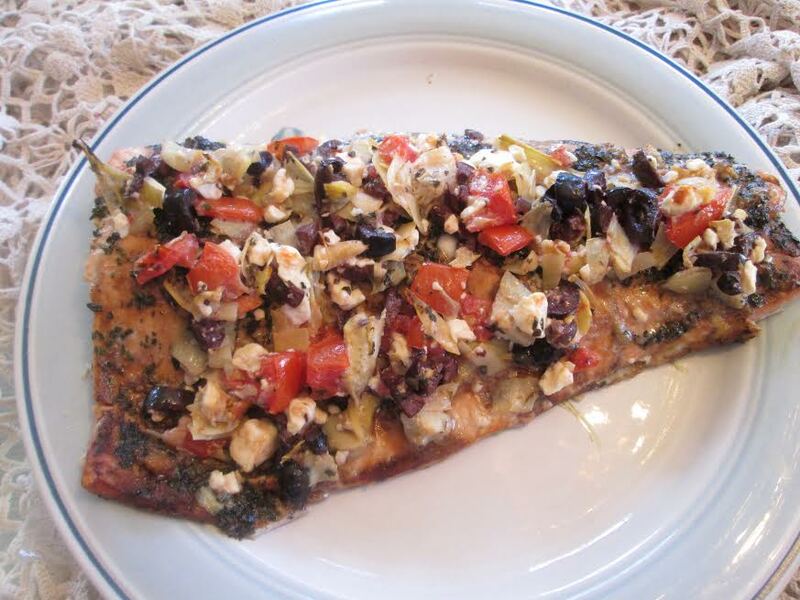 To start off, our baked Mediterranean Salmon is marinated in an oil and balsamic herb vinaigrette. Kalamata olives, artichokes, tomatoes, and feta cheese top off this Mediterranean-inspired dish. For more easy salmon recipes, scroll down the page. Enjoy! Place salmon in a baking dish. Rub fish with pressed garlic. Mix ingredients for marinade in a small bowl. Brush salmon with the marinade. Combined topping ingredients in a medium bowl. Bake fish for 10 minutes at 400 degrees F.
Cover with topping and continue baking 5-8 minutes. Fish should flake easily with a fork. Make a new dish every week with these easy salmon recipes from around the web. 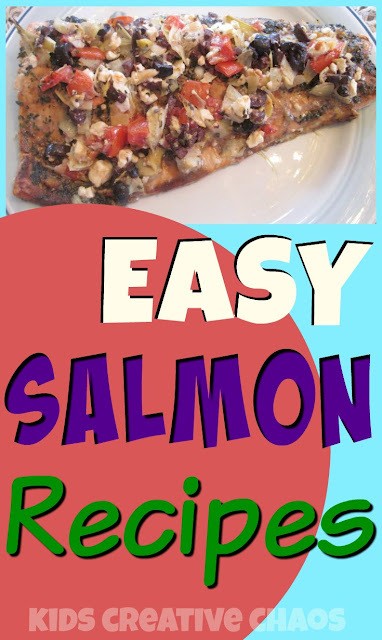 You might also like this video on how to pan sear salmon.